IPN Berlin: live IP broadcast streaming in Germany. 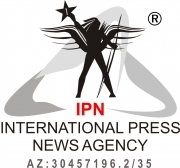 IPN International Press Agency is a news agency in the heart of Berlin and offers almost all services in the field of audiovisual production. Our Ip streaming system provides a high broadcast quality that allows live video transmission (HD and SD) from any location around the world. Ip solutions are used daily for breaking news and high-profile events, such as a political campaign, major sport events, and natural disasters.